Daved Daizangi and Reza Amini, Afghan refugees to Sweden, sit at a café in Mollevangen, a diverse neighborhood of the Swedish town of Malmo. “I am thinking about the future, but there is no future,” says Mr. Daizangi. Daved Daizangi perches at the bar of an industrial-style café. Sipping a cappuccino and chatting in Swedish with the tattooed barista, he could be just another teenager getting his caffeine fix. But then his phone pings and his effortless manner is broken by an anxious crease across his brow. He may be physically present in Malmo, but his mind lingers in Quetta, Pakistan. Mr. Daizangi is one of the tens of thousands of migrants who have come to Sweden in the past five years. Originally from Afghanistan, but living in Pakistan with family, he fled because he felt unsafe. The slim young man is Hazara, a largely Shia ethnic minority persecuted in both countries. Now, as Sweden tilts to the right on immigration reform and an election approaches, Mr. Daizangi – like many migrants in Sweden – is in limbo. “I am thinking about the future, but there is no future,” says the 18-year-old Mr. Daizangi. He has reason to worry. Swedish authorities have already rejected his asylum claim once, leaving him with two more appeals. 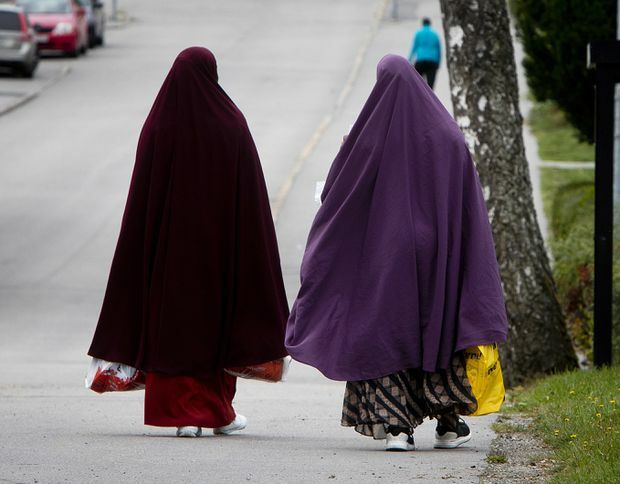 Sweden’s image as a moderate and tolerant country is being tested. In 2015, a record number – roughly 163,000 – sought asylum in the country of 10 million people. Later that year – after the government increased spending to absorb the refugees, and municipalities struggled with housing shortages for newcomers – Europe’s most welcoming country for migrants tightened its immigration policy. The government restricted family reunification and issued temporary residence permits instead of permanent ones. But the topic continued to dominate national discourse. Now with the Sept. 9 general election looming, the issue of migration is the defining debate. The two main parties in Sweden – the left-leaning Social Democrats and the conservative Moderates – are running a tight race against the far-right Sweden Democrats, who are harnessing populist sentiments, arguing migration is threatening Swedish nationhood. The Social Democrats have finished with the highest percentage of votes in every election in Sweden since 1917, but this year their standing may be tested. Jimmie Akesson, leader of the Sweden Democrats party, speaks at an election rally in Norrkoping on Sept. 7. “It’s not a democratic party,” said Omid Mahmoudi, who helps Afghan youth integrate through the organization that he founded Ensamkommandes Forbund. “It’s not a party that says that all people have the same rights, it is all about which country you are coming from and which religion you believe.” Like the migrants he works with, he is concerned about the election. The Sweden Democrats first entered parliament in 2010, winning 5.7 per cent of the vote. In 2014, they doubled their support, taking 12.9 per cent. In advance polling over the last few months, their support has floated around 20 per cent, only four points below the Social Democrats. Mr. Daizangi arrived in Sweden in 2015, at the height of the migrant crisis across Europe. At 15, he travelled with a smuggler from Pakistan through Iran and Turkey, before being left to his own devices in Greece. It took him three attempts to cross the Aegean Sea. Both Mr. Daizangi and his friend and fellow Afghan, Reza Amini, remember their separate 2015 arrivals in Malmo vividly. The train station was awash in citizens holding “Welcome to Sweden” signs. But gradually the Swedes’ openness began to shift. Border controls were introduced on the Swedish side of the Oresund Bridge, and attacks against refugees began to make headlines. Malmo, 2015: A group of migrants off an incoming train are escorted by Swedish police officers as they gather on the platform at the Oresund Bridge between Sweden and Denmark. Afghans account for around half of all refugees that arrive in Sweden, yet, while 91 per cent of Syrian applicants were granted asylum in 2016, only 28 per cent of Afghan claimants were successful. Even unaccompanied minors face the threat of deportation. In 2016, the European Union signed an agreement with Afghanistan that stipulated that migrants whose asylum claims had been denied could be deported. The EU declared that, unlike Syria, parts of Afghanistan were safe enough for its citizens to return home. Kabul is considered one of these areas, a fact that Mr. Amini scorns while referencing frequent violence, including a suicide bombing in August that killed 48 people. As of 2017, Afghans comprise the largest number of asylum claims within the EU, with roughly 170,000 cases awaiting decision. Under the new Swedish law, refugees granted asylum receive two- or three-year temporary residency permits. Most applicants, however, do not meet the refugee criteria and only qualify for protection, in which case their residency permits last 18 months before being reassessed. Family reunification is restricted to those granted refugee status. Mr. Amini is very familiar with the Swedish asylum process. After graduating university, he worked in IT in Kabul, but when the Taliban repeatedly attacked his workplace he no longer felt safe. After a stint in Iran, where he could not work or study because he was illegal, he found a smuggler to take him to Europe. But the 26-year-old was not a minor when he first arrived. If you’re over 18, said Fadi Al-Aieshy, an immigration lawyer at the Stockholm-based af Jochnick Law Firm, "it is impossible to get residency in Sweden because they say that Kabul is a safe place, you can go to Kabul, but if you are under 18 they can’t really relocate you that way because you are a child.” Since his arrival, Mr. Amini has taught himself Swedish and completed a placement with an IT company. His application for asylum has been rejected twice, and he has one appeal left. Mr. Amini keeps in contact with his two younger sisters and parents, and fills his time volunteer teaching other migrants computer skills. He wants to resume his studies and tries to ward off the tedium that stalks these youth, who cannot legally work. But he knows it is probably only a matter of time before he receives a deportation notice. Many of his friends have already crossed into other European countries rather than be deported. It is not a choice he wants to make, but he is considering it regardless. Both Mr. Amini and Mr. Daizangi have acquaintances who are involved in drugs and trafficking with street gangs. The two blame isolation, boredom and the need for cash. 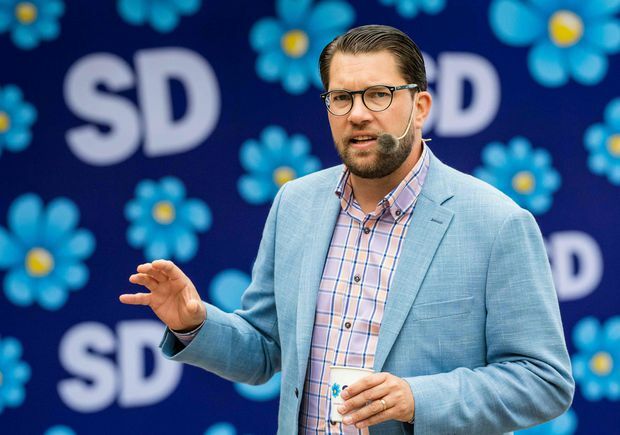 But the Sweden Democrats have seized on the spate of recent gang-related gun violence in cities such as Malmo – shootings that have alarmed the public – as proof that the asylum and immigration system is not working. A complex in Malmo's immigrant enclave of Rosengard houses a medical centre, school and housing for migrant youth. In recent years, Rosengard has become notorious for crime and gangs. The party, founded in 1988, has roots within Swedish fascism. Early party members participated in the white supremacy movement of the time, with individuals sporting Nazi uniforms at party meetings. The Sweden Democrats adopted a softer approach to their political rhetoric in the mid-90s, but remain staunchly anti-immigrant. The party has campaigned on promises to freeze immigration and hold a referendum on membership in the European Union. The rise of the far right in Sweden is happening amidst a surge of right-wing populism within neighbouring European countries, with Italy, Austria, France, Hungary and Germany all seeing an increase in support. Violent protests rocked the town of Chemnitz in the eastern German state of Saxony, following the killing of a German man in late August. Hundreds filled the streets after migrants became suspects in the crime, with protesters attacking police and foreigners. Aug. 30, 2018: Migrants from Somalia walk through Flen, some 100 kilometres west of Stockholm. The town has welcomed so many asylum seekers in recent years that they now make up about a fourth of the population.